In grad school studying Organizational Psychology, I wrote many-a-paper about the magic that is PDI/DreamWorks. I wanted to understand and dissect what makes (now, made) that 600-person studio so special. It was a “dream” work place in so many ways: a place where everyone knows your name, co-workers are family, there is no visible line between the creatives and non-creatives, and everyone is a storyteller. I won the lottery when I joined in 2005, and again when I came back in 2010. The sudden news of its closing on Thursday hit me quite hard, and of course hit those who still call the studio home much harder. It’s where I along with so many friends saw their dreams come true, met mentors and heroes, formed life-long friendships, and not only built a career, but a calling. I’ll be forever grateful to have been a PDI’er – and know that those of us lucky to call it home will carry the magic with us to new adventures. Whether you experienced PDI or not, know that a work environment so welcoming and inclusive that many of us returned over and over like we were coming home to visit family doesn’t have to be a dream. 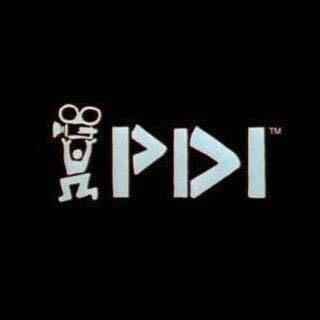 Thank you PDI, for setting the bar so high… and for inspiring everyone who walked through your doors. This entry was posted in ROI, Research, Evidence, Studies by Lindsey Caplan. Bookmark the permalink.